Manchester, VT- The Orvis Company announced today the winners of their Commitment to Protect Nature Grants for 2011. Every year, Orvis reviews projects submitted from around the world. From those submissions Orvis chooses the best ones to share with their customers in matching grant campaigns in their catalogs and online. This year’s projects reach around the globe and include: Protection of the endangered black rhino of Zimbabwe and of the Coral Triangle fishery at the intersection of the Indian and Pacific Oceans; as well as restoration of Montana’s famous Upper Clark Fork River and of the dwindling Florida panther populations. – The International Rhino Foundation ; The IRF is on the front lines in Zimbabwe protecting rhinos from poachers who have nearly wiped out the species. The IRF may be all that stands between the black rhino and extinction. – The World Wildlife Fund’s Coral Triangle Initiative ; The Coral Triangle harbors 75 percent of all known coral species and some 3,000 species of reef fish. WWF is teaching sustainable fishing practices to keep the “Amazon of the ocean” alive and thriving. – The Clark Fork Coalition; Named by Meriwether Lewis after William Clark (both of the famed Lewis and Clark Expedition), The Clark Fork river is in dire trouble. 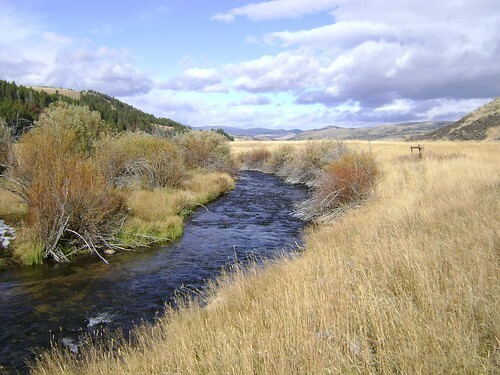 The Clark Fork River Coalition and Trout Unlimited have teamed up in one of the most historic restoration efforts in our country’s history to restore vital trout spawning tributaries. – National Wildlife Refuge Association’s Northern Everglades Program ; Florida’s northern everglades region is home to some of the nation’s most threatened or endangered animal species, including the Florida panther. Orvis is helping to sponsor creation of a new refuge in the everglades to ensure some of our nation’s most endangered species live on for future generations.